Going back to business, today’s featured movie is a well loved romantic comedy starring Tom Hanks and Meg Ryan — You’ve Got Mail. Tom’s character, Joe Fox, is the owner of a bookstore chain and falls in love with Kathleen Kelly (Meg Ryan), the woman he met online. Both are unaware that she runs the little shop his company is trying to shut down. We see two faces of book stores in this film, a big bookstore chain and a little family owned book shop. Though strikingly different, any of those two will be a book-lovers’ haven. So, if you and the hubby-to-be love reading books, and don’t find it boring to be surrounded by them, you’ve got to try the You’ve Got Mail Inspired Wedding — or a Bookstore Themed Wedding. Be lost in love with the literary world as you decor your wedding with Jane Austen quotes, present your seating cards in an old library catalogue drawer, use old books together with flowers as your centerpieces, have a book-page flower bouquet and share your love of literature with guests as you give them books as wedding favors. So, you think this is your wedding theme? 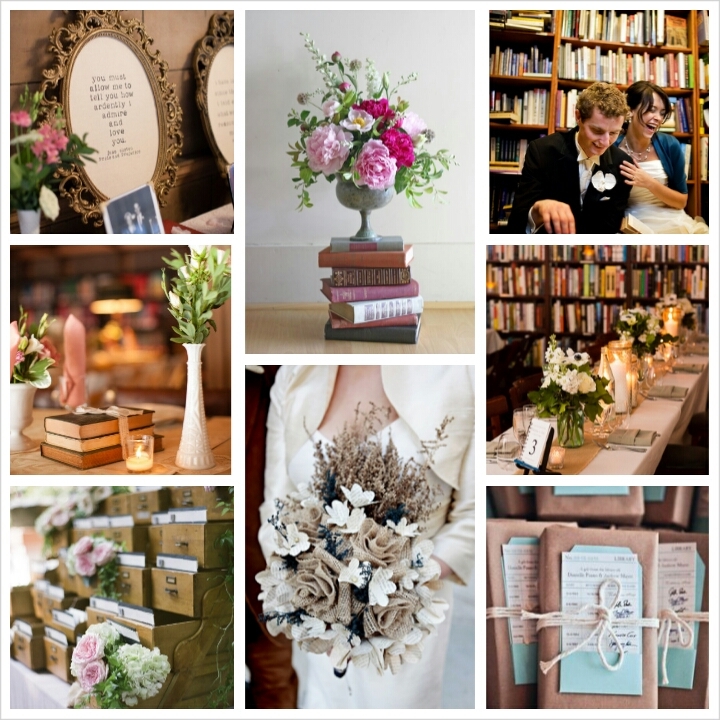 Spread the love with literature and books and have a You’ve Got Mail Inspired Wedding!